The business law attorneys of Scura, Wigfield, Heyer & Stevens, LLP, can provide business litigation help you make solid choices and anticipate important scenarios in getting your enterprise off the ground or reorganizing for growth. Our business planning services are relatively inexpensive, and can help you avoid mistakes and conflicts down the road that would cost far more. Beyond incorporation, we can assist business clients in buy-sell transactions, commercial leases, commercial real estate matters, business and commercial litigation, and corporate dissolution. In other words, we offer ongoing and comprehensive legal services to New Jersey businesses as business formation lawyers. 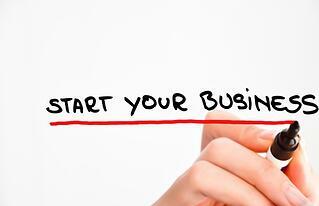 A do-it-yourself business formation kit is no substitute for the advice of an attorney. There are simply too many variables and specific issues to address. We walk you through the pros and cons of each type of business entity to help you align business formation with your goals and concerns regarding personal liability, taxation, exit strategy and other considerations. We also work with the stakeholders who will own and run the new enterprise to iron out the details of management, profit sharing, capitalization and growth, bringing on new partners and other issues which every business faces. Now that you know how a lawyer can help you with business litigation and/or business planning, it is time for you to evaluate your situation to decide whether or not you hiring a lawyer would be a right step for your business. Scura, Wigfield, Heyer & Stevens, LLP, has served Passaic, Bergen, Hudson, Union, Essex and Middlesex counties and all of New Jersey since 1972. Call 973-870-0434 or contact us online to schedule a consultation about business formation or reorganization.